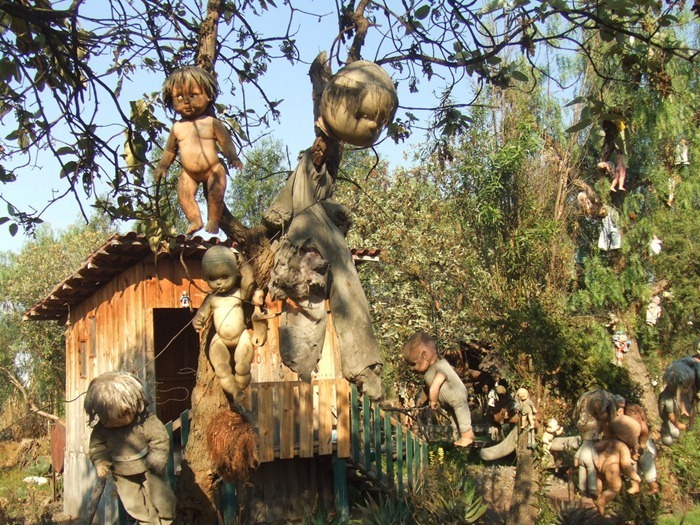 Sitting deep inside the canals of Xochimico, amidst an overgrown forest full of mangroves and murky swamps south of Mexico City, is possibly one of the world’s strangest and creepiest sites. 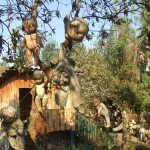 Known as the “The Island of the Dolls” (Isla de las Munecas), this place is home to hundreds of mutilated and defaced dolls, some hanging menacingly from trees, some with their limbless torsos skewered on the wooden sticks all over the island. 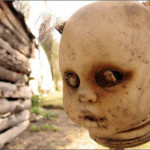 A truly terrifying site, this place has become a popular tourist destination amongst those who are fascinated by this dark and alternative take on sightseeing. Legend has it that the islands sole resident, Don Julian Santana, discovered a young girl drowning in the swamp some 50 odd years ago and in a failed attempt to save her life he claimed he was perpetually haunted by her spirit. 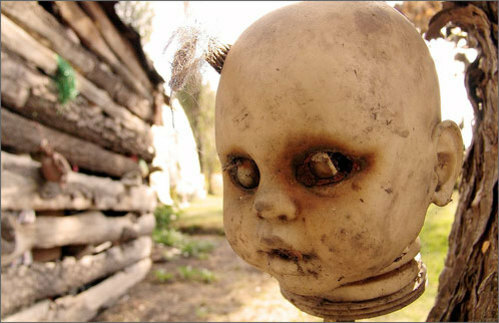 Shortly after her demise, Julian came across a maltreated, shabby doll floating in the canal close to where she had drowned and so decided to hang it on a tree believing that it would appease the spirit and keep it at bay. 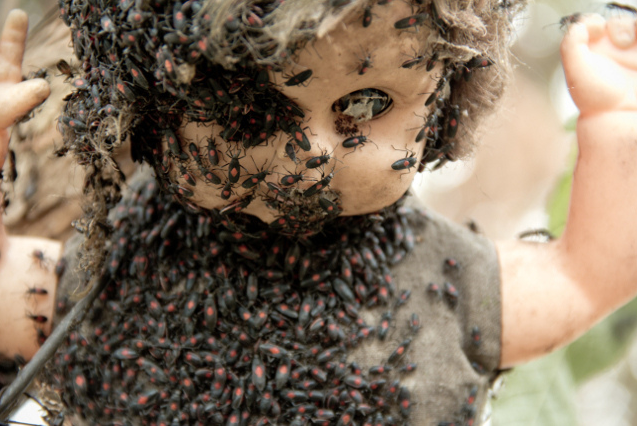 However, he soon developed an obsession of collecting hundred’s of old dolls and their limbs, hanging them all over the island and was convinced that the girl’s spirit, as well as other tortured spirits inhabited the dolls.